This new conference, like the WUPE conference of the past, is multi-day and multi-subject, which is particularly interesting for two reasons: First, it is felt by Thom Powell and many others that the various paranormal mysteries are in some way related, and the key to understanding the paranormal realm is to investigate these possible relationships. Second, the opportunity to get information from a variety of speakers on a variety of topics offers a much greater chance of learning something new and different that may also contribute to the a better understanding of the paranormal realm. At this point, I am a student of all things paranormal, although I came to the paranormal world from an original interest in the bigfoot phenomenon. While I am still very interested in the sasquatch mystery, it might also be said that bigfoot is in my rear-view mirror. That is, I have widened my area of interest because, by doing so, I'm finding answers and understanding that was not available during the years when I was concentrating my focus solely on elements of the bigfoot phenomenon. More recently, I have formulated a coherent, all-encompassing view of the paranormal realm. I see the sasquatch mystery as one facet, one element, one piece of fabric in a much bigger paranormal quilt. I have articulated this view in my most recent book, Edges of Science, and since the release of that book in 2015, I have happened across a few new layers that further bolster the view that there is a unifying paranormal theory. 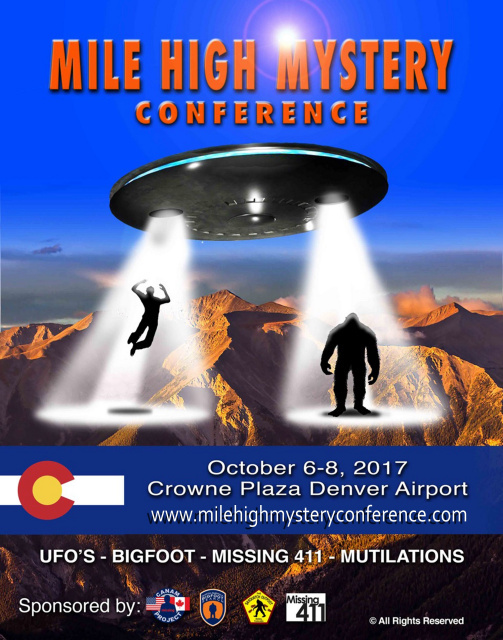 I look forward to articulating my General Theory of the Paranormal as the Mile High Mystery Conference in Denver on the Weekend of October 6th and sharing my newest discoveries and realizations that unite the myriad paranormal concerns that seem, to some, to be separate areas of investigation. If one is looking for a preliminary exposure to my somewhat radical views, check out Edges of Science. This is really Intresting. I Am so keen about paranormal activities so in this regard i really want yo know about this conference and mote about paranormal activities and the phenomenon behind this..! !